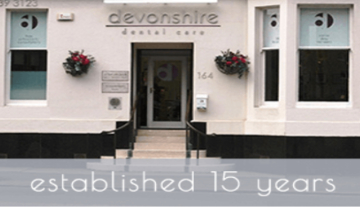 At Devonshire Dental Care in Glasgow one of our most highly regarded facial rejuvenation treatments is Oralift. This is one of the least invasive procedures and is perfect for patients in Glasgow who want facial rejuvenation without chemicals, injections or surgery. Oralift uses the body’s natural ability to adapt and heal, promoting the strength of facial muscles through ‘passive exercise’. Oralift is fundamentally an exercise device for the face, which comfortably slots into the ‘free way space’ at the back of the mouth to gently encourage the development of facial muscles, tighten the jaw line and rejuvenate skin. Each device is crafted for the individual and it only takes around 30 minutes to 2 hours of daily wear over 4 months to achieve incredible results. After initial treatment you will only need to wear the device twice a year for two months at a time in order to boost results. Oralift enables patients to maintain their youthful appearance without the need for peels, injections or invasive surgery, and instead uses the body’s own natural ability to enhance and refresh facial appearance.